Prezentare Who cut off Medusa's head? Who was raised by a she-bear? Who tamed Pegasus? It takes a demigod to know, and Percy Jackson can fill you in on the all the daring deeds of Perseus, Atalanta, Bellerophon, and the rest of the major Greek heroes. Told in the funny, irreverent style readers have come to expect from Percy, (I've had some bad experiences in my time, but the heroes I'm going to tell you about were the original old school hard luck cases. They boldly screwed up where no one had screwed up before. 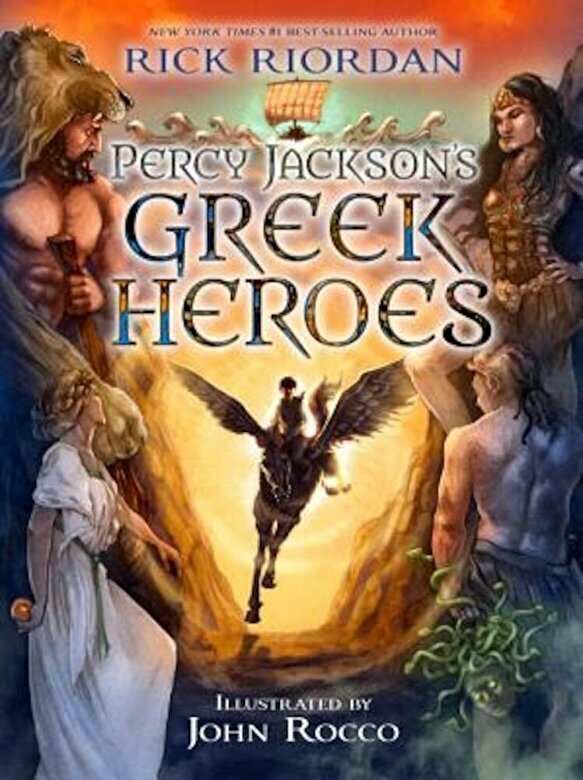 . .) and enhanced with vibrant artwork by Caldecott Honoree John Rocco, this story collection will become the new must-have classic for Rick Riordan's legions of devoted fans--and for anyone who needs a hero.